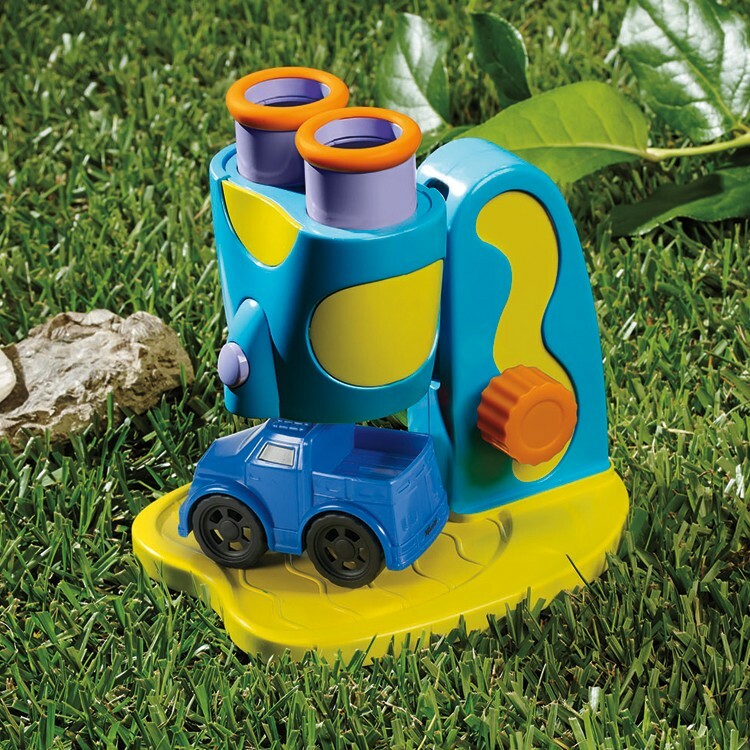 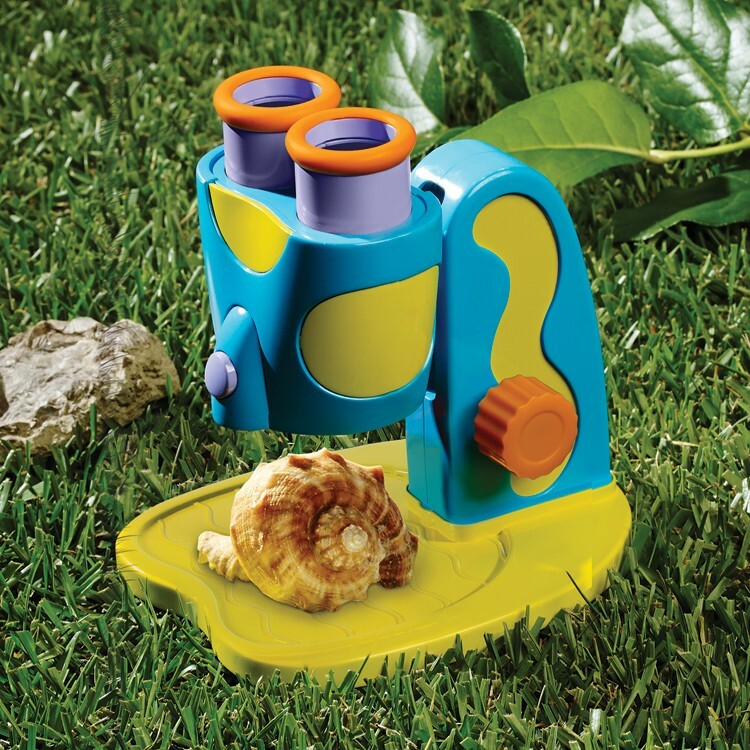 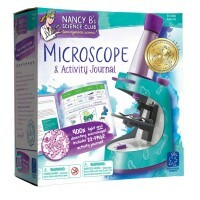 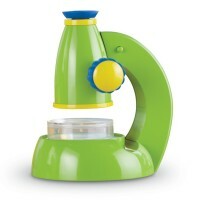 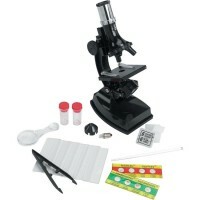 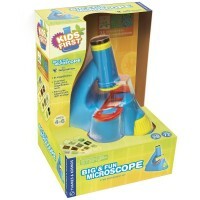 This GeoSafari kids first microscope is easy to focus, adjust, operate and view with! 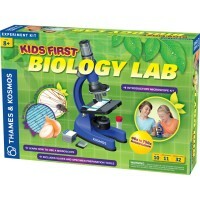 Now even the preschool kids can learn about micro biology and micro world! 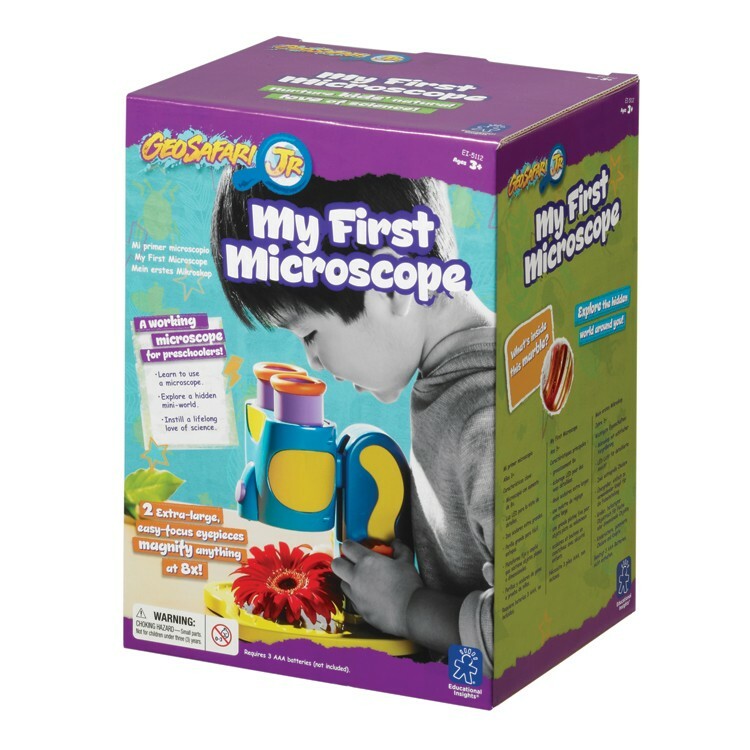 My First Microscope Electronic Science Toy from Educational Insights is a great learning tool that helps to excite the youngest kids about science. 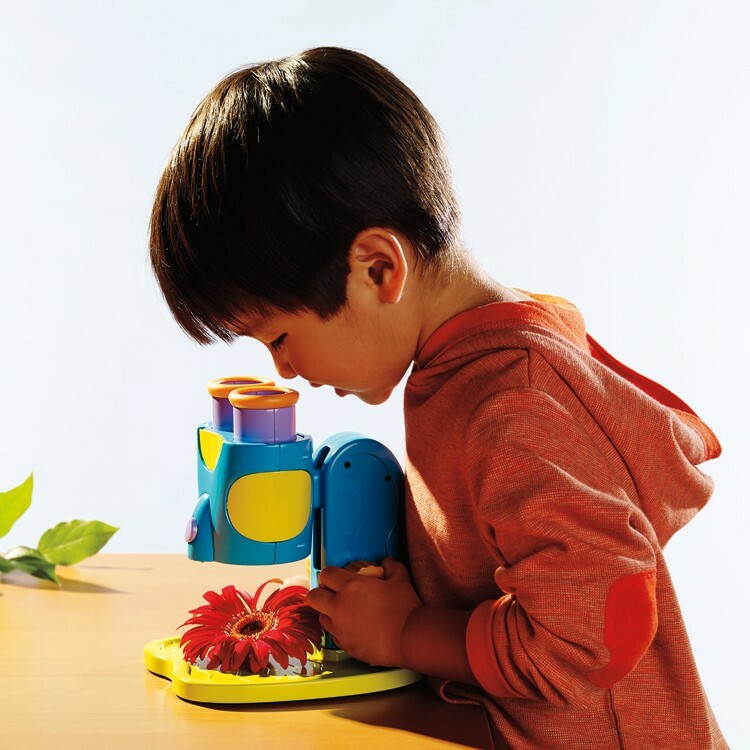 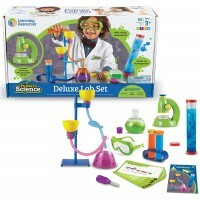 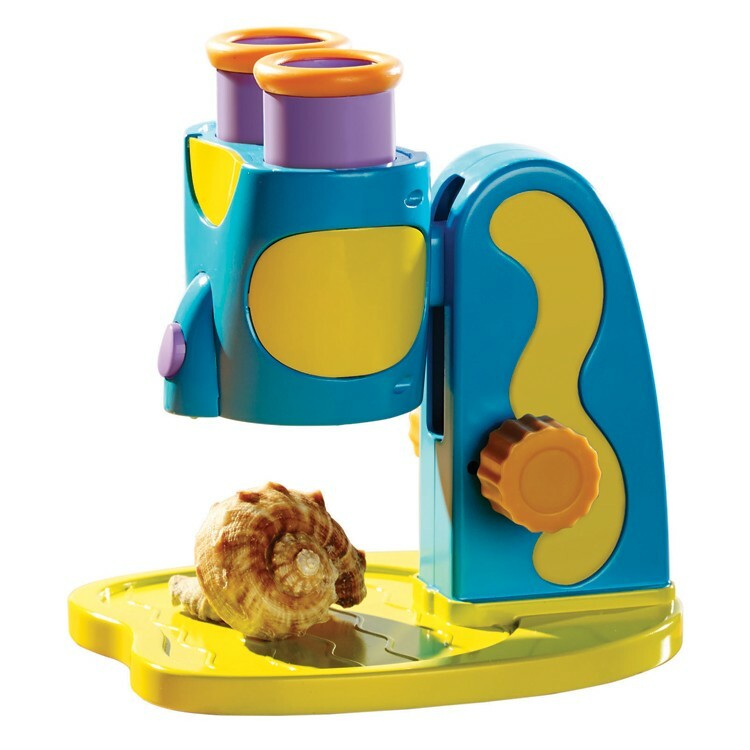 This preschool science toy includes a working microscope that is sized perfectly for the little hands and eyes, and attractively colored to make science learning more fun. 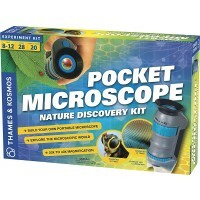 This first microscope offers 8x magnifying and lets kids study flat or dimensional things under it. 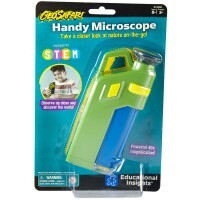 This GeoSafari kids first dissecting microscope allows children to view anything in 3D - rock, leaf, bug, eraser, coin, etc.). 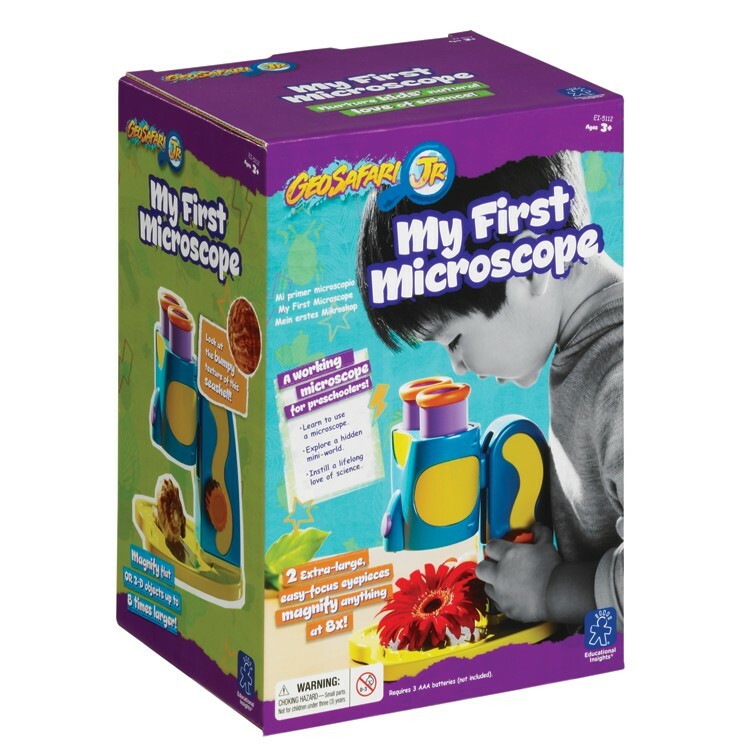 My First Microscope Electronic Science Toy features 2 over-sized eyepieces, chunky focusing knob, built-in LED light, LED button, stabilizing feet, sample tray, and instructions. 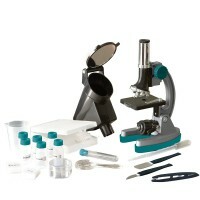 You do not have to adjust the eyepieces - one size fits all. 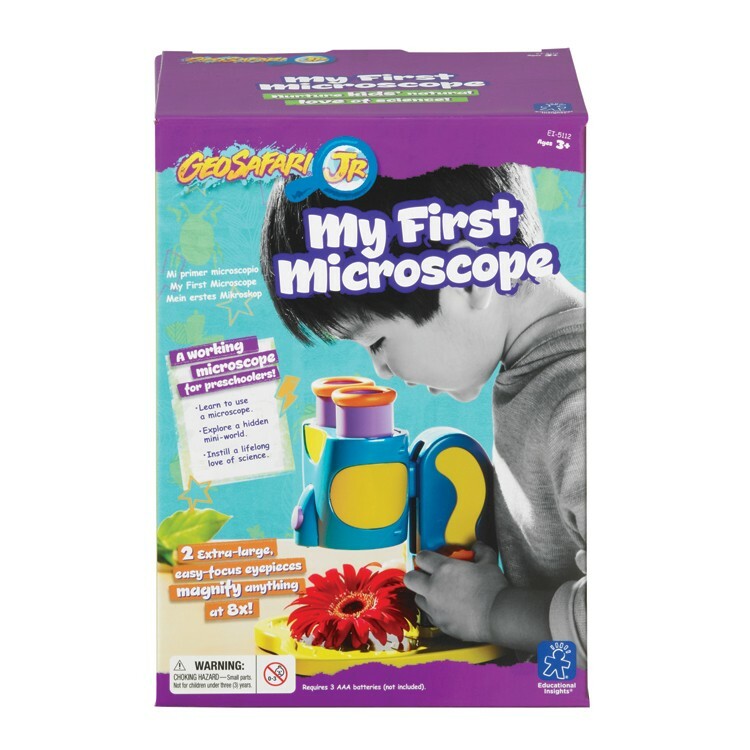 This preschool kids microscope from Educational Toys Planet requires 3 AAA batteries (not included) and measures 7.3 x 5.8 x 7 inches. 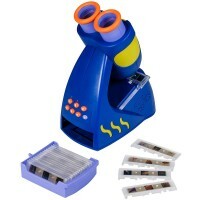 Dimensions of package 7.5" x 10" x 6"
Write your own review of My First Microscope Electronic Science Toy.